I have a strong character. I’m not sure about my Higher Power these days, but I do have a Light inside of me that urges me on to healing, even during those days when my eyelids are too swollen to lift them up to Heaven. I vacillate between great days and very low days, but mostly, I function well, and there will always be a vein of sorrow that runs through everything I do. Maybe there was a time when I thought it would hurt less if my life came to an end, but I never thought about taking my own life. I just didn’t want to hurt anymore. Grief is grief. 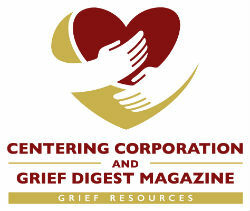 Grief is something that we must go through. Grief is harsh at best. I don’t want grief to be an impetus for self-destructive behavior, and I think that months and years of chronic lament are self-destructive, at least, they are for me. I’ve been sad lately, but I’ve managed to smile, laugh, work at my relationships, and carry on. I will never be the same, of course, but I’ve managed to navigate my life after the storm. Moving forward after the loss of a child is a true feat of courage – in spite of the pain I feel in my heart, and in spite of the way that grief distorts my brain from time to time. Death is not fair. The hole that death leaves in our lives is forever, and it knocks the air out of us a few times during our day, and sometimes for many days. I just don’t want my life to stop because of the pain that comes in waves and, sometimes, in tsunamis; that threaten to push me deep into the rip currents. Drowning in my sorrow is not what I want as my life’s purpose. I want to sit in the fresh air after the storm, smell the fresh earth, the renewed and refreshed trees, hear the birds singing gratefully for the rain that provides a food source for their survival, as I heal myself and work toward my own. I know the pain intimately that others feel, and I know there are times when it feels like the pain will never end, and, maybe it never will, but I want to always strive toward the hope of wholeness. I will miss my son for the entirety of my remaining days. I have no illusions about this, even as I force each step toward the rest of my life, one day at a time, one bittersweet memory at a time. The tears will come unexpectedly – and sometimes they will come at the most inconvenient times; I know this. I also know that as I create each next moment in my life, that my son will accompany me in some way, shape, or form. Each note of every song brings a pang in which I feel his absence profoundly. I know that grief is unpredictable in its visitations; it is unkind, but it is also a call toward healing. Grief is the time we are most in the Present Moment, and that is all we really have. My son had 32 years of Present Moments, and I was so fortunate to share in a multitude of them. I am honored to have been his mother. Things become clichés for a reason, mostly because there is truth in them, and so let me just say, my son will live on in the deepest part of me, when the sun shines on my face, when a gentle wind cools me on a hot summer day, when I am alone with my thoughts of him, when tears or laughter grace my life in honor of his. Grief hurts, but it also catapults us with intensity toward the hope that healing is possible. Trust me, tears are rolling down my cheeks as I type this, and I am feeling equal parts hope and sorrow, but the day will proceed and I will immerse myself in it, and remain a member of the living, because 1"I have promises to keep, and miles to go before I sleep." Sherrie Cassel holds a B.S. in psychology and will be attending seminary in the Fall of 2018. She has been published in Addiction.com and has written a book, LOVE SONGS TO A JUNKIE SON, a book of poetry about her son’s struggle with addiction. Ms. Cassel also manages a grief site at Facebook called AFTER THE STORM. The site is specifically for parents who’ve lost children to the disease of addiction. She lives in San Diego, California with her husband Ben and their three cats.